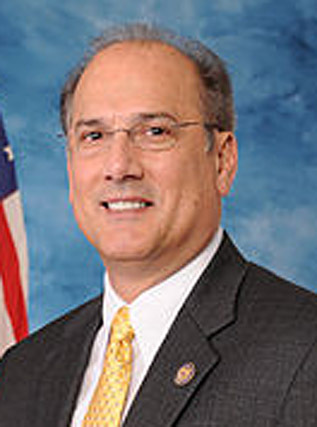 WILLIAMSPORT — Tom Marino said a serious health issue forced him to resign from his seat in the U.S. House just days after the Republican from Cogan Station began his fifth term. Marino, 66, spoke exclusively with The Daily Item on Thursday, saying he has been overwhelmed by support from his constituents across the 12th District, including cards, prayers, texts and phone calls concerning his health. Marino represented the 10th District for four terms before winning the redesigned 12th District in November. Marino said at this point, he does not have cancer. He said he will undergo more tests and surgeries in the upcoming weeks. Marino has battled cancer since 1999 when he announced that half of his left kidney was removed. In 2009, the other half was removed. In 2012, cancer returned and doctors had to remove 60 percent of his right kidney which now leaves Marino with only 40 percent of one kidney. With the expectation of ongoing treatment, Marino knew the time was right to step away. Marino said he picked the spot to resign so that it wouldn’t cost taxpayers any money for a special election. “I knew the May primary election was coming and they could have held it then,” he said. After Marino resigned, Gov. Tom Wolf announced the special election would be held May 21, the same date as the primary. Four candidates — Republicans Fred Keller, Jeff Wheeland and Chris Hoffman and Democrat Marc Friedenberg — have officially announced their intention to seek the seat. Marino said he won’t back anyone in the upcoming race. Former U.S. Rep. Lou Barletta said he wanted to respect Marino’s private life and health conditions. Marino said he hasn’t had much contact from Washington since his decision to resign. Francis Scarcella is a staff writer for The Daily Item, Sunbury.